This 1-hour family-friendly concert celebrates heroes, both real-life and fictional. 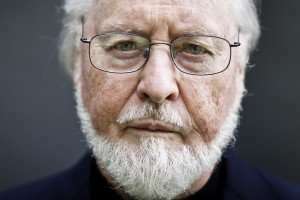 John Williams’ film scores reflect the heroic characters from Star Wars, Harry Potter, and Superman, and his Olympic Fanfare and Theme, composed in 1984 for the Los Angeles Olympics, is still heard today whenever the Olympics are televised. Klaus Badelt composed film music to underscore the exploits of the Pirates of the Caribbean. Russian composers Shostakovich and Tchaikovsky commemorated anniversaries of important events in their country: Shostakovich’s Festive Overtureto honor the 37th anniversary of the October Revolution in 1954, and Tchaikovsky’s 1812 Overture for the 1882 dedication of a new cathedral in Moscow, built to honor the 70th anniversary of Russia’s victory over Napoleon and the French in the War of 1812.